In the paper, we discuss the problem of risk monitoring in small and medium-sized enterprises (SMEs). To this aim, we propose to use the results of the analysis of enterprise financial standing. We indicate the crucial groups of financial ratios as well as the most important financial ratios themselves, that should be taken into account in the process of continuous risk monitoring in an enterprise. We also present the features of eanaliza.pl online service, which can be helpful in calculating the up-to-date information on enterprise financial situation. Using the service we investigate the possible risk factors for a hypothetical small-sized enterprise. 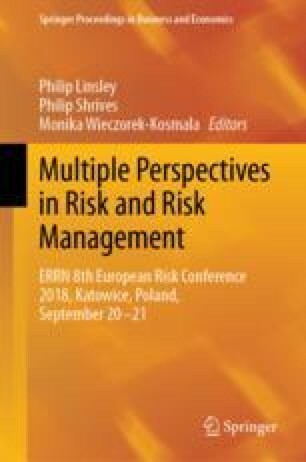 We conclude the paper by stating that the use of IT tools, such as the eanaliza.pl service, can bring important benefits to the SMEs in the context of risk management.